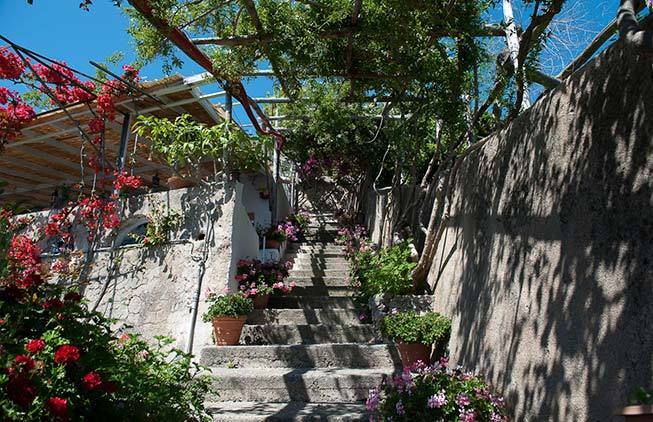 Maiori is a town located at the foot of the mountains near Minori, by the beginning of a rocky promontory that marks the southern boundary of the Gulf of Salerno. Maiori is a fabulous town, not as touristy as the other places and has a proper Italian buzz. 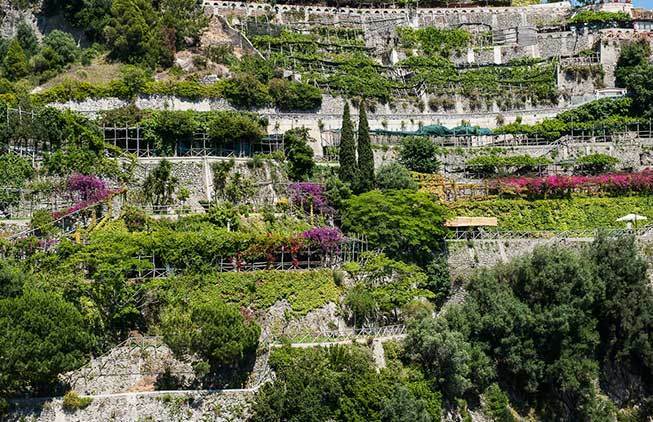 At the time of the "Republic of Amalfi” Maiori was one of the strongest towns because of its fleet of ships and wide harbor, a town that developed commerce and production of goods like silks and wood. 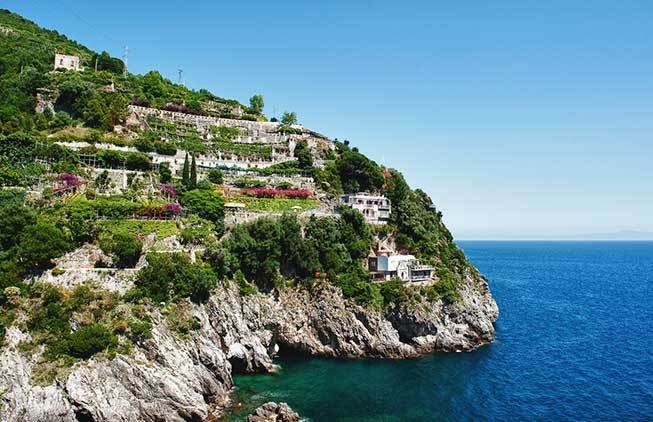 Nowadays Maiori is a pearl along the enchanting Amalfi Coast, a characteristic seaside resort with the longest continuous stretch of beach and a picturesque promenade where it is possible to enjoy a relaxing and pleasant holiday. 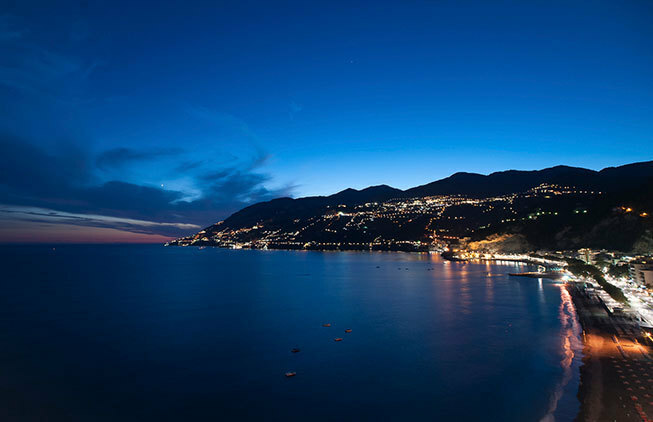 Italian film director Roberto Rossellini shot four of his movies in the elegant Maiori. 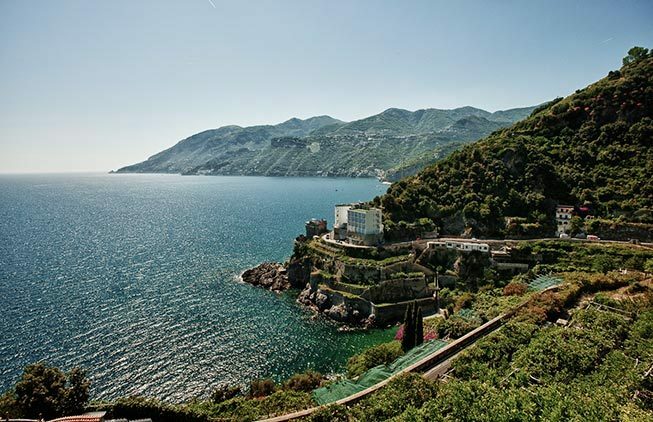 Couples decide to get married in Maiori because of its extraordinary views over the sea and coast, probably the widest that can be enjoyed from the coast thanks to its legendary position, protected by a castle and ancient towers that still watch over the town and create a magical place for a wedding. Maiori municipality allows weddings in a stunning frescoed hall and there are some excellent restaurants where you can taste the local specialties, moreover there are several high quality hotels that welcome guests from all over the world. Come and see this romantic town and its stunning landscape that are the right choice for your Destination Wedding in Italy. 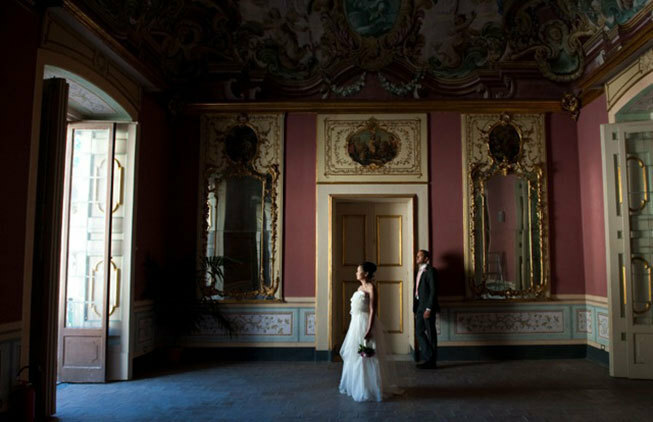 Civil wedding ceremonies in Maiori are celebrated in the enchanting Hall of Frescoes in the Town Hall, a historical palace on the main street or in its gardens during the summer. 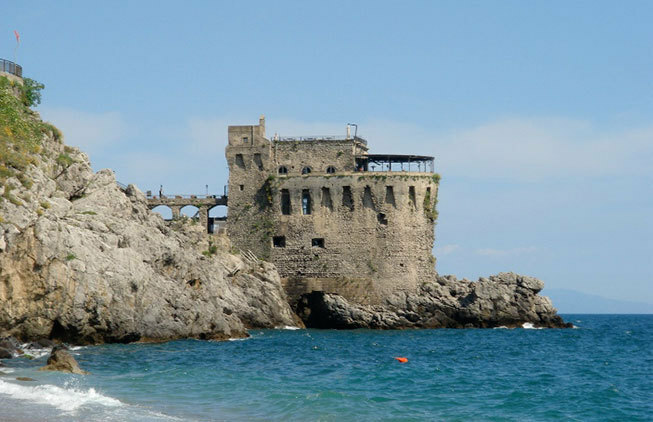 The Norman Tower is the biggest and the oldest one on the Amalfi Coast. This tower was built between 1250 and 1300 and represents a rare example of an increased tower to sight pirate-ships coming from the south. Nowadays the tower presents an internal partition perfectly fit to the needs of modern restoration and beautiful terraces to have a romantic reception overlooking the sunset.